Bloomberg Businessweek reports that a Chinese espionage agency successfully planted microchip back doors on servers built in China for Supermicro, San Jose, CA, a major supplier of motherboards to many companies including Apple, Amazon and the US military. At least 30 companies are believed to have been compromised. Bloomberg cites 17 (unnamed) sources including American intelligence officials and insiders at Amazon and Apple. All of the companies have denied the report, which is what one would expect. This is pretty scary stuff, IMO. Is there any way to prove that hardware has not been compromised? That'll teach "them" new meanings of outsourcing. 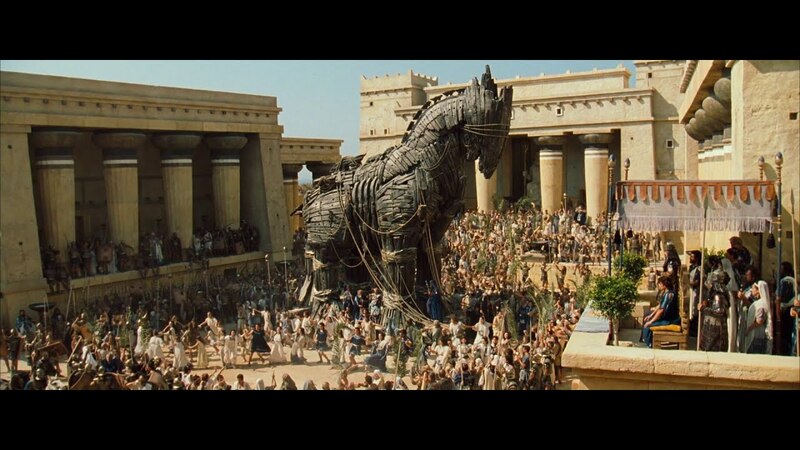 But I guess why is this a surprise, Trojan horses were invented a while back? Apple did acknowledge to Bloomberg Businessweek that it had encountered malware downloaded from Supermicro’s customer portal. Apple said the infection occurred in 2016, months after the events described by Facebook, and involved a single Windows-based server in one of the company’s labs. The malware was on a network card driver, which is distinct from firmware and allows an operating system and a piece of hardware to communicate. This was the reason Apple gave for dropping Supermicro as a supplier later that year. I agree with Richard, such in-depth reporting like this with so many sources has a way of turning out to be true despite adamant early denials. 🤷‍♂️Usually, though, adamant denials don't come from shiny brands like Amazon and Apple, do they? On the one hand, Bloomberg's story is full of specific details, seems well-researched, and is apparently based on information from many sources. On the other hand, companies like Apple, Amazon, and Super Micro are are vehemently denying it. Apple's denial is comprehensive and scathing. For a company that rarely offers more than a sentence — if that — when asked for comment, it says a lot that Apple not only commented but released a lengthy and detailed statement denying virtually every claim Bloomberg made. They're serious about this. Amazon's denial is similarly scathing. Bloomberg Businessweek has a pretty solid reputation, but it's hard not to wonder if they've gotten something seriously wrong here. All their sources are anonymous, and the denials leave no room for interpretation. Something is definitely fishy. Vehement denials would be expected given the gravity of the report. I'm cynical enough to think they may all be lying nevertheless, though I'm not assuming that. We may never know. What worries me, though, is the very possibility of undetectable hardware subversion. We know from the Edward Snowden revelations that the NSA regularly intercepted computer and networking equipment en route and modified it for spying. Building spying into the board itself seems like a logical next step. China certainly has the technical sophistication and political culture to do so. I just wonder whether the US (or anybody else) has the ability to detect and prevent it. All this talk about a "chip" with no technical details almost sounds like it's made up. Just saying. Personally, I find this kind of threat pretty plausible, and I'm not surprised, either, that it was picked up by teams who were vetting the hardware for use in government systems, because the kind of due diligence described is accurate to what I've understood about how things*ought* to be done. It is also plausible that many successful infiltrations have been executed on targets who don't have the ability or awareness to combat this attack vector. As to how extensive the real consequence is, you have to keep in mind, the most sensitive targets have many layers of protection, and even something with low level access would also need other compromised components of the network to succeed in it's task of communicating out to an awaiting server witha malicious payload. Those networks are closed (unless compromised) and communication attempts would fail. That doesn't exactly give me warm fuzzy feeling of security of course. Plenty of government business *is* tired to relatively open networks. Besides the governments, Telco players are also extremely cautious of what goes into their backbone networks, for similar reasons, and*extensive* testing is done which takesa long time and tons of effort. Winning a hardware supply contract with a Telco provider is a very long sale cycle. I started off firmly in the middle once the story and company press releases were released. From yesterday to today I've drifted more towards believing Apple over Bloomberg. They aren't just denying the claim of a vulnerability but even denying the fact that there's a gag order in place. With wording like that Apple stands to lose a lot of credibility without much room to budge if it comes out that these allegations were true. Bloomberg might just be an unwitting party propogating a fabricated (not by them) story to benefit the China negotiations. On the other hand you've got a tinfoil hat scenario where government that can and has forced companies to deny the existence of programs and investigations. Someone's credibility is going to take a severe blow and at this point I don't think it will be the tech companies. Did anybody else have to Google "baseboard management controller?". The plot thickens! These same Bloomberg reporters apparently have a history of writing sensational stories that later turn out to be wrong while citing anonymous sources. I wonder if that chip in the image is it. Very very doubtful. If this was true why have we not seen more evidence of it? It'd be almost impossible to cover it up for any length of time. There'd be thousands upon thousands of these things out there. Bloomberg is the claimant and it's therefore up to them to provide significant evidence to prove it's real. It's not up to Apple or Amazon or other parties to prove it isn't true. I think it's always a good idea to be skeptical. The denials have been strong, yet Bloomberg hasn't retracted the story yet. So someone is lying. But to me it's not just a matter of whether these specific claims are true. More troubling to me is the possibility that this sort of thing could go undetected because there may be no practical defense against it. According to The Washington Post, other media companies have tried to verify Bloomberg's story, but so far they've come up empty. And they also note the lack of specific proof in the story; it relies completely on anonymous sources without ever showing one of the chips. I'm still open but it doesn't seem to be looking good for Bloomberg. To my mind, if that's not the actual chip, it should not be a picture in the article. That is misleading. It could be the Bloomberg source that is lying. I believe there are ways to stop such things from occuring. I think it's going too far to say there is no defense against such things. It's probably more likely that the source is lying than Bloomberg itself. I would think that if this were firmly established, Bloomberg would issue a retraction. Perhaps we'll find out at some point, dunno.